Stay up-to-date with the happenings of the Wrangler NFR by getting exclusive access to monthly E-lerts. E-lerts are only sent to Stay in the Loop Club members. So what are you waiting for? Join today and stay in the loop all year long! Get in the Loop below! 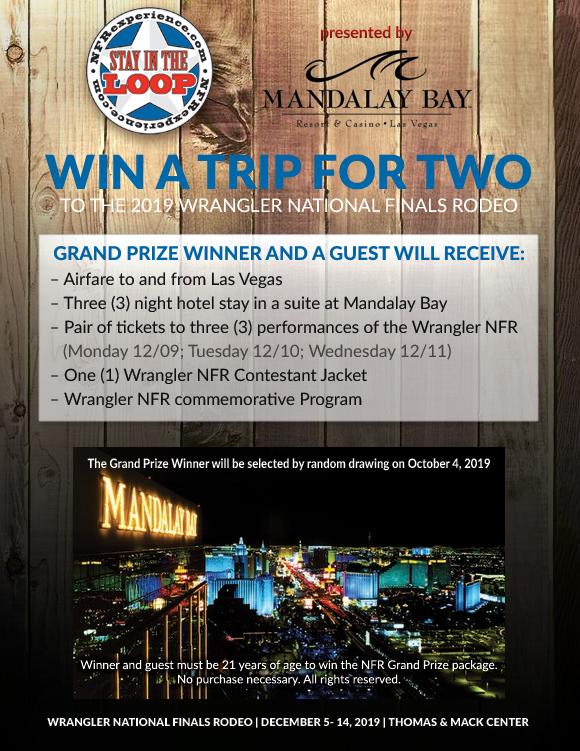 I acknowledge that by clicking the 'Subscribe' button below, I will be joining the Stay in the Loop Club and agree to receive promotional information from the Official NFR Experience and Mandalay Bay.